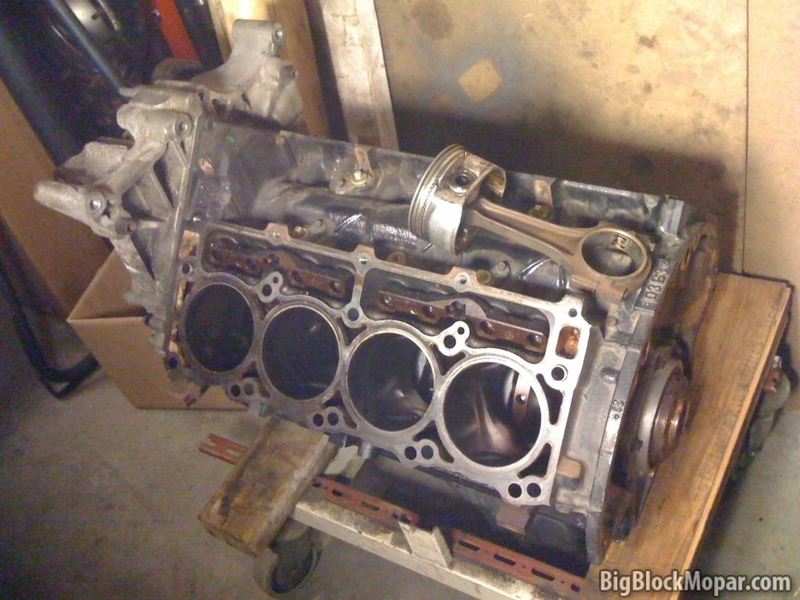 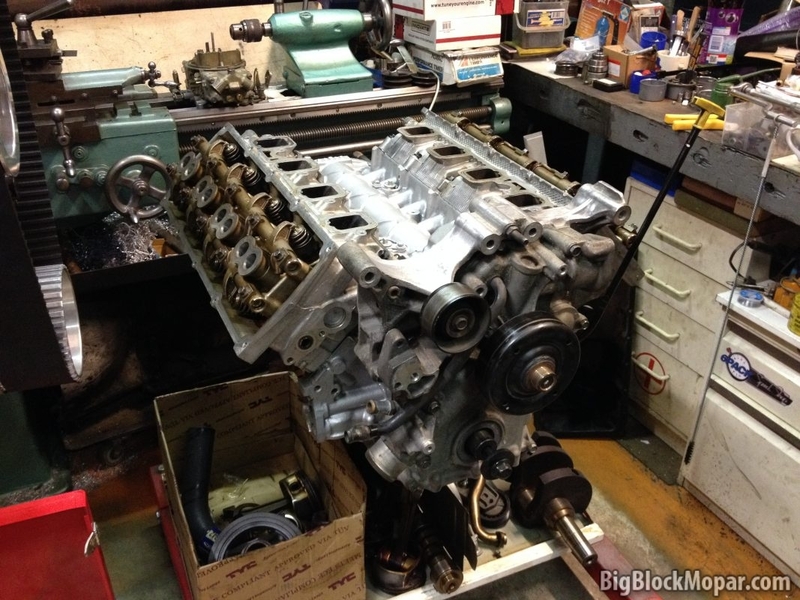 In 2011 I found a 5.7L Hemi for sale. 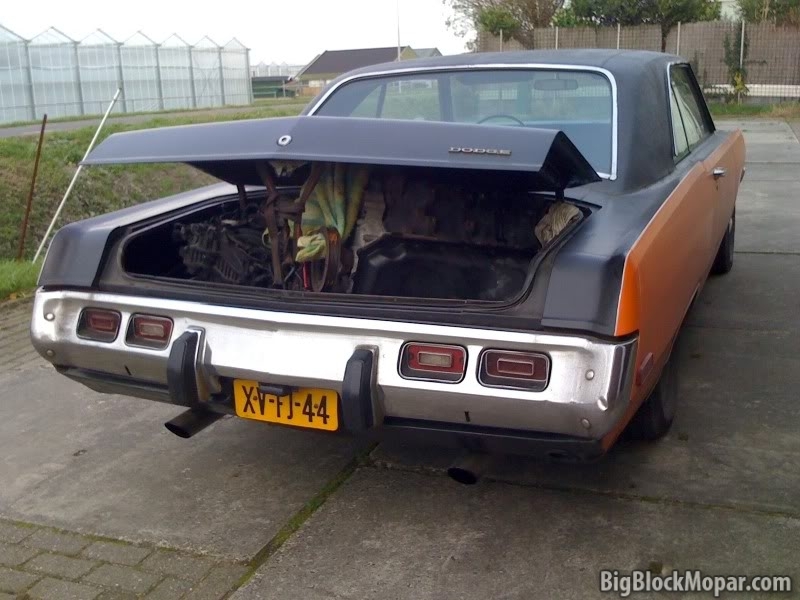 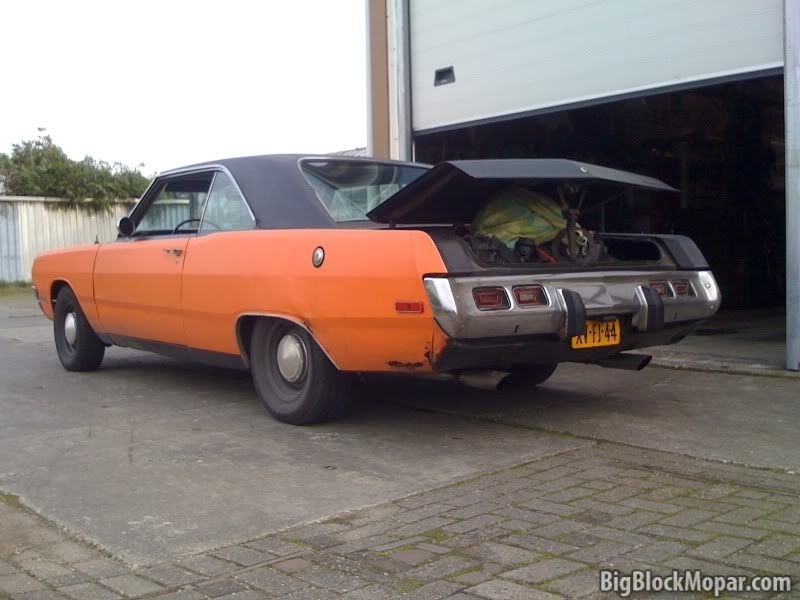 Thinking this would be a nice engine-upgrade for the ’73 Dart to replace the 318ci. 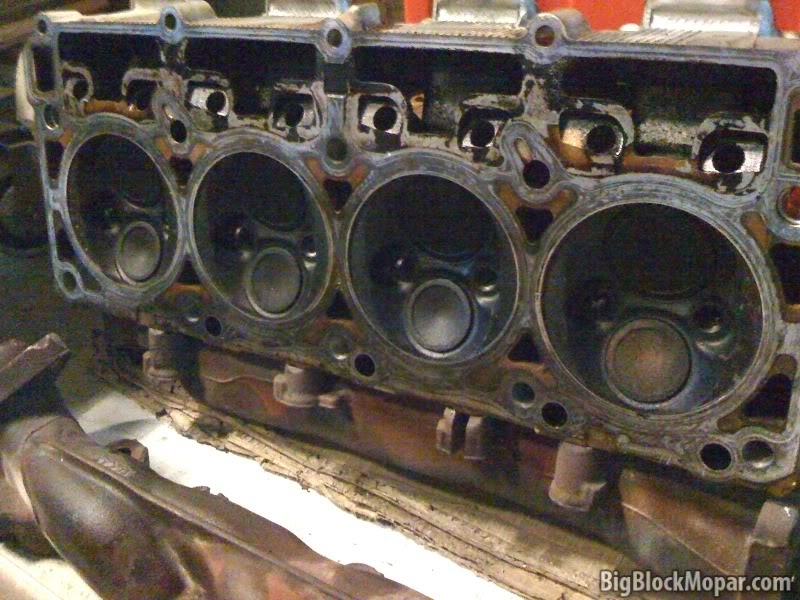 Upon first inspection the engine was missing some parts, as was mentioned by the seller. 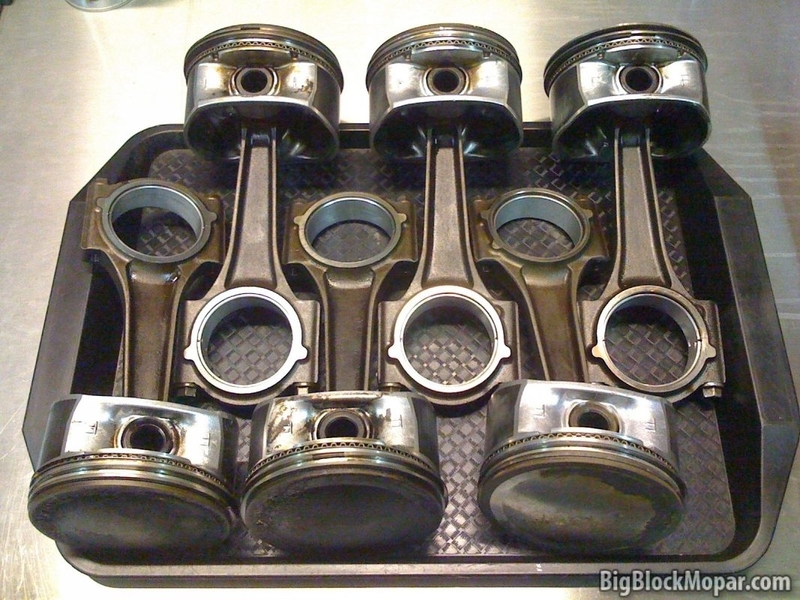 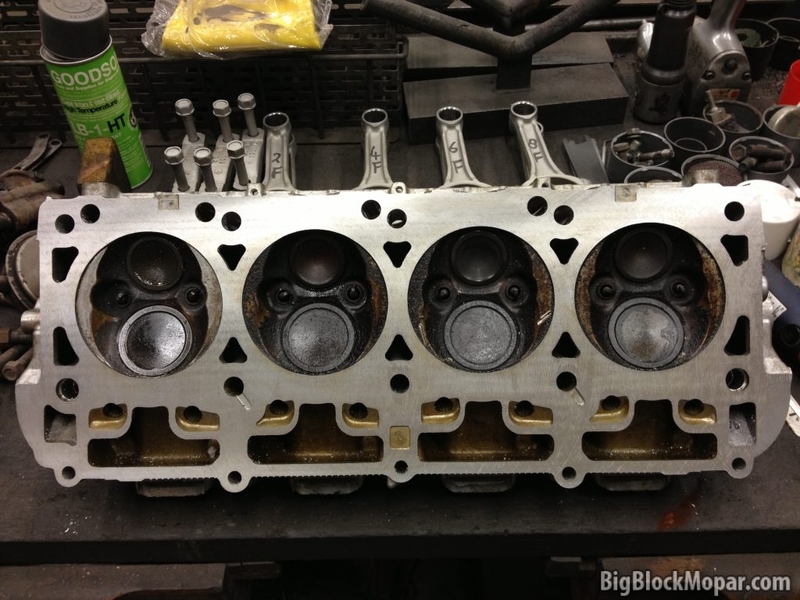 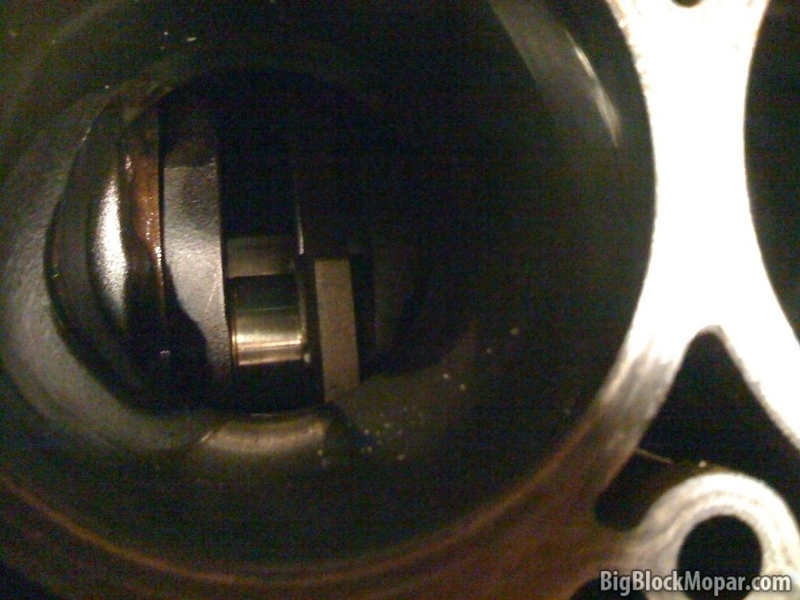 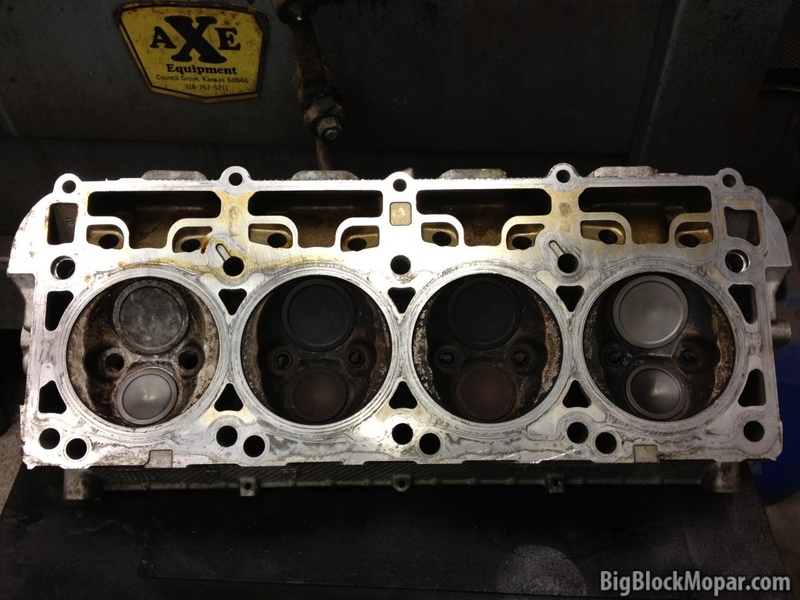 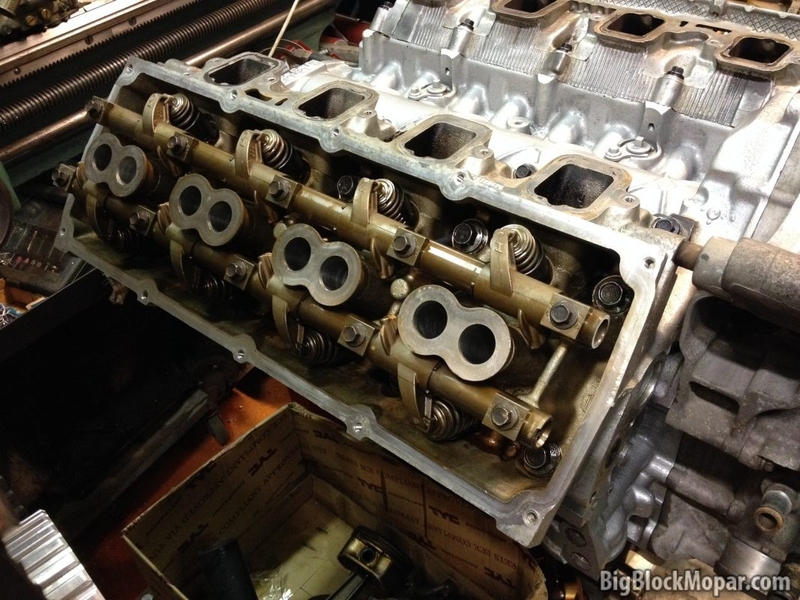 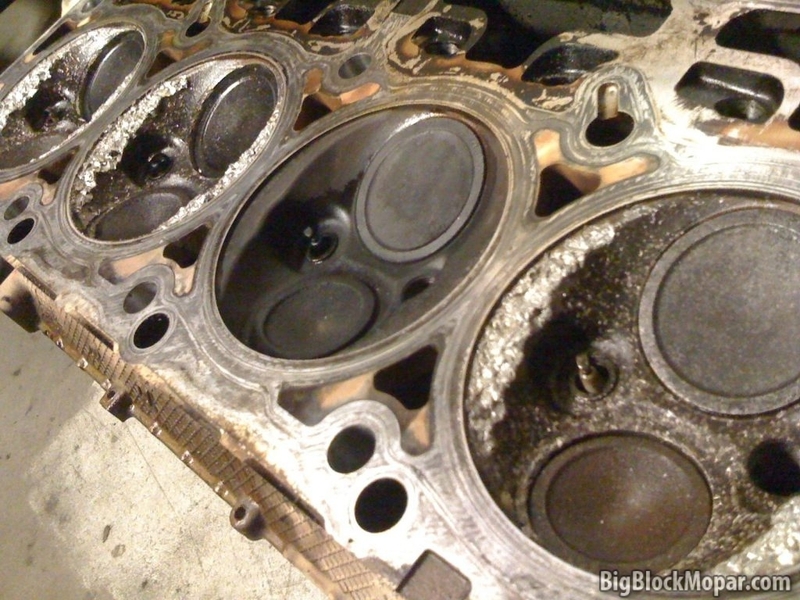 Three rods and pistons where missing and one head was damaged beyond repair and had to be replaced. I thought no problem, the price seems right and I can source those parts later. 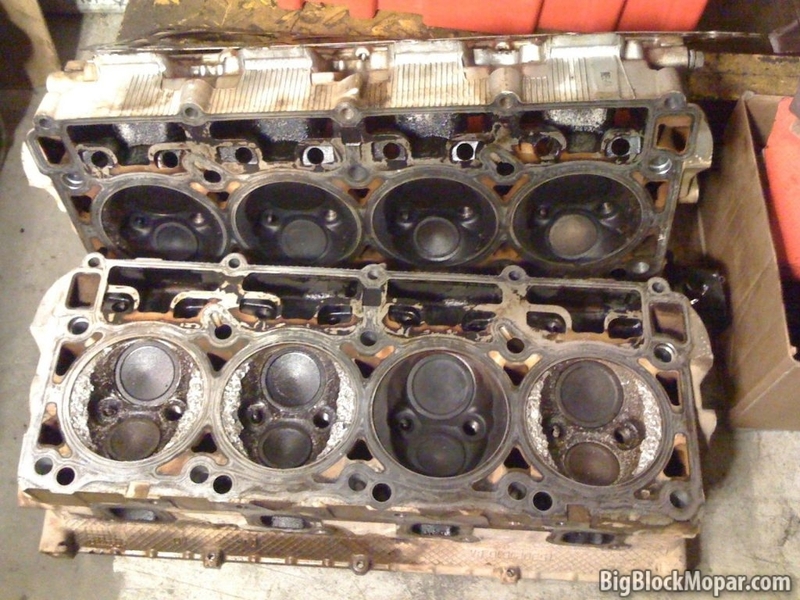 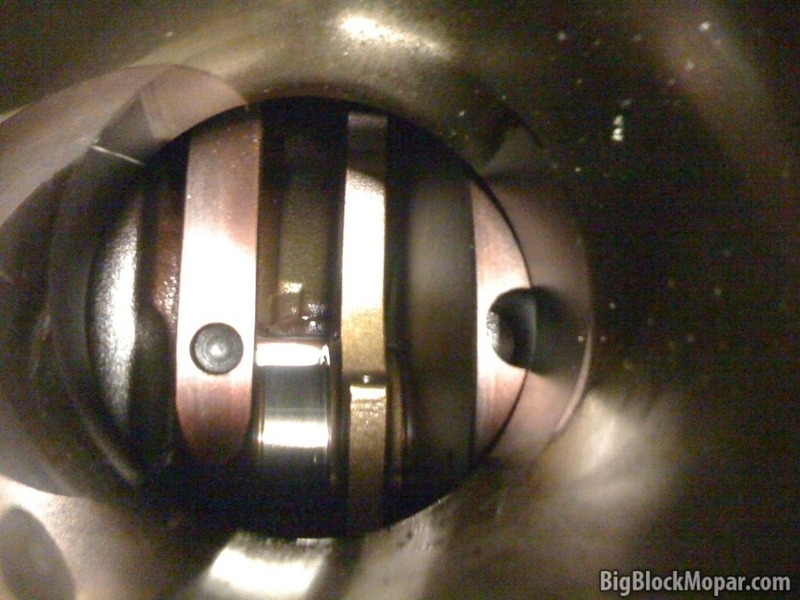 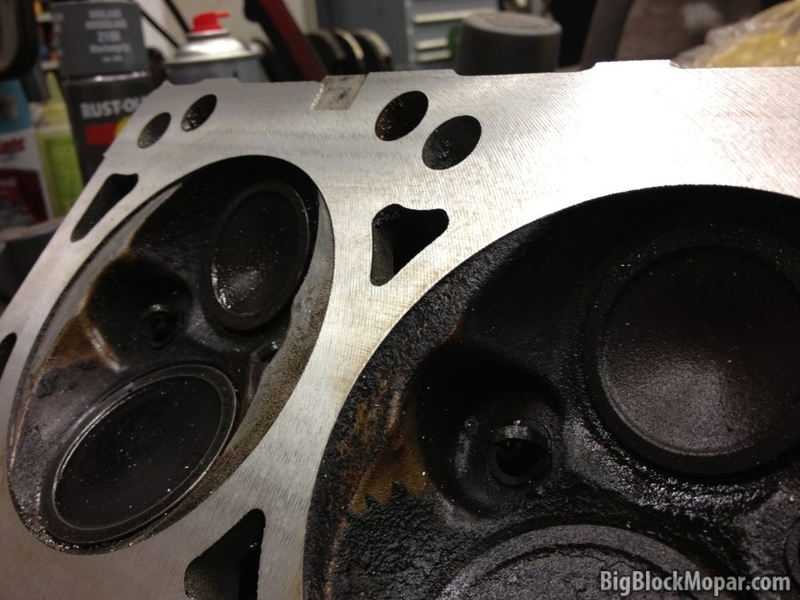 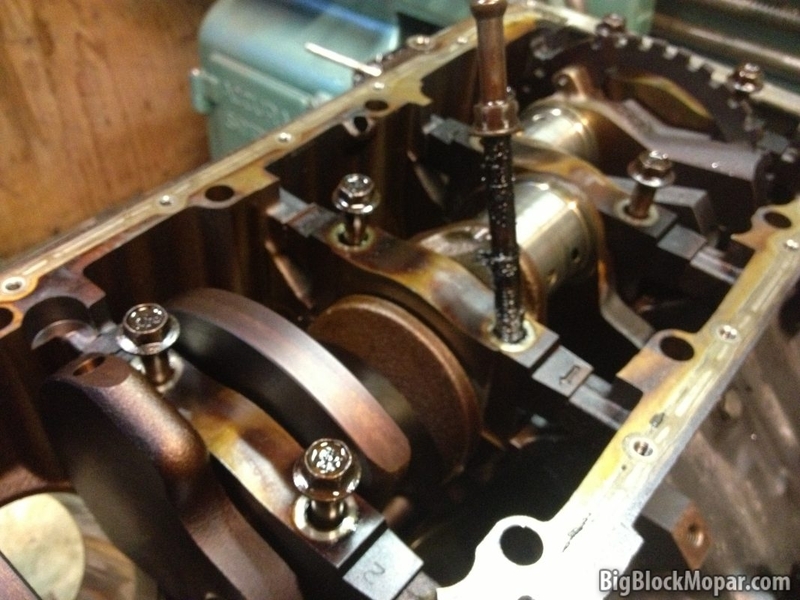 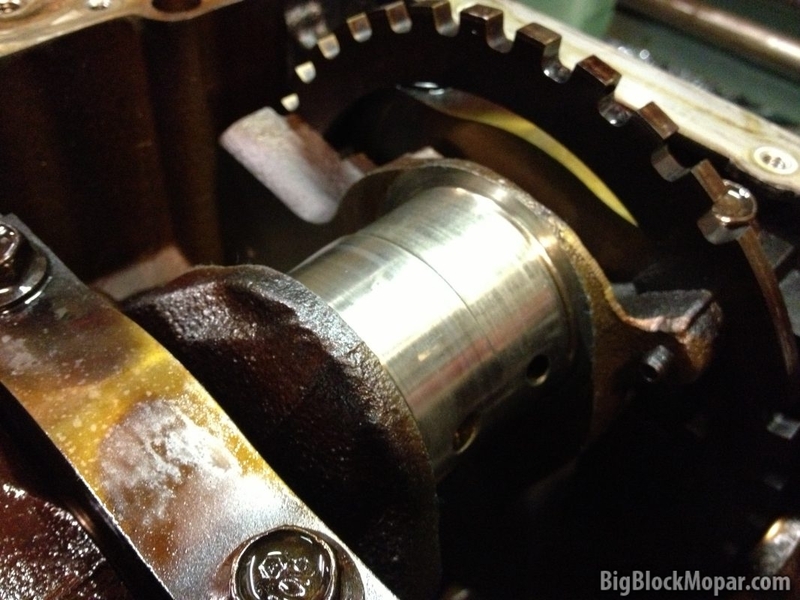 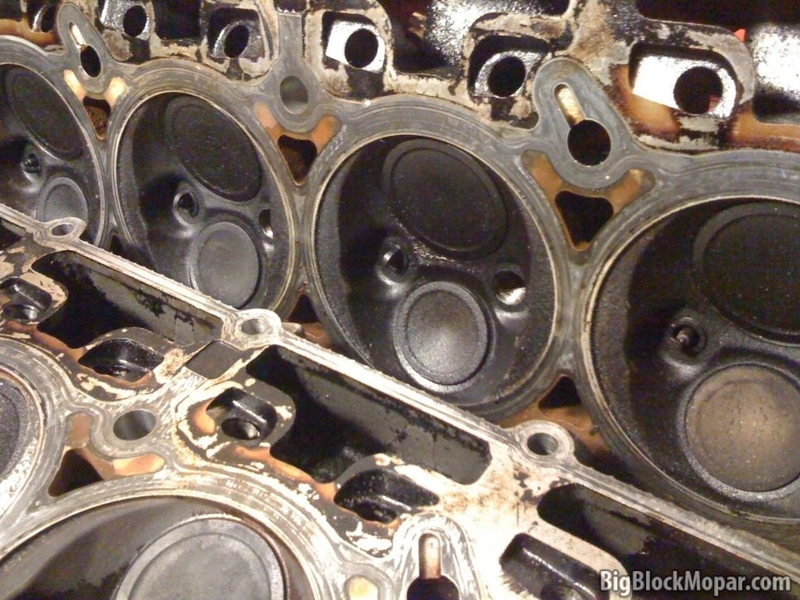 However, a few weeks later when I was able to take the engine apart further, I found that the lying piss stain of a seller didn’t mention that this particular engine had trashed rod bearings on the pistons and crank that where still mounted in the engine. 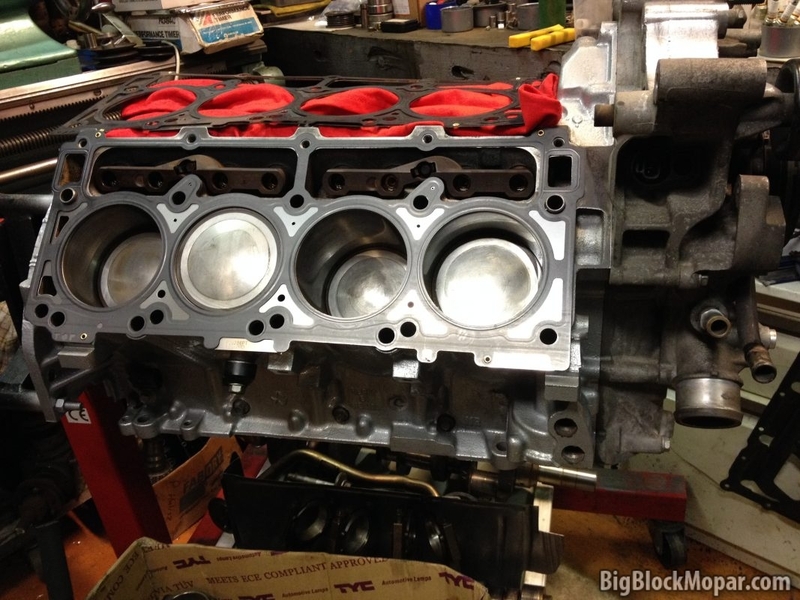 Turned out this engine was already used as a donor to fix another Hemi. 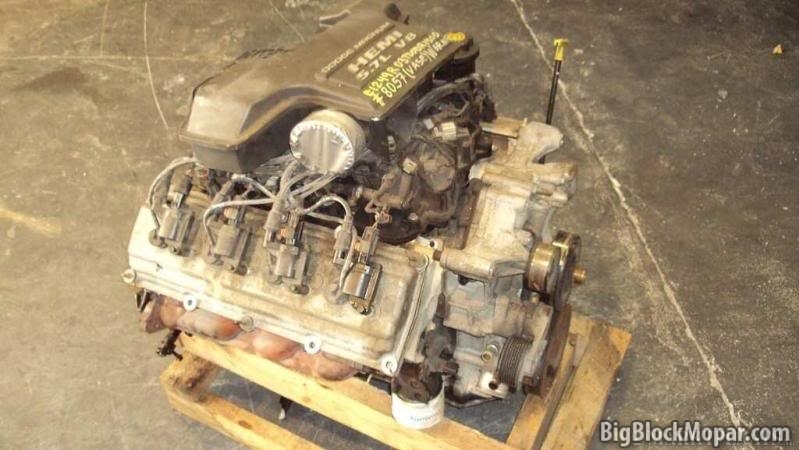 Since I had already found another donor engine nearby and some time had gone by, I didn’t bother and went ahead to gather more parts to fix this engine. 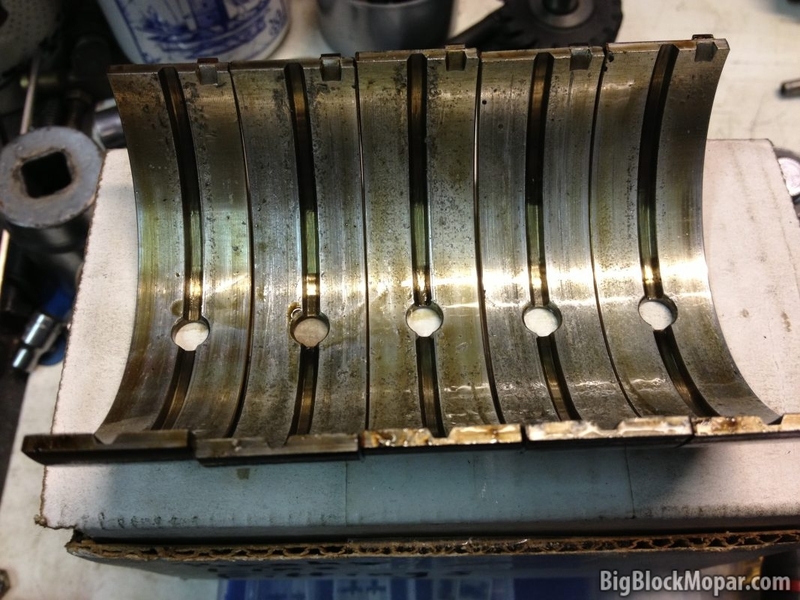 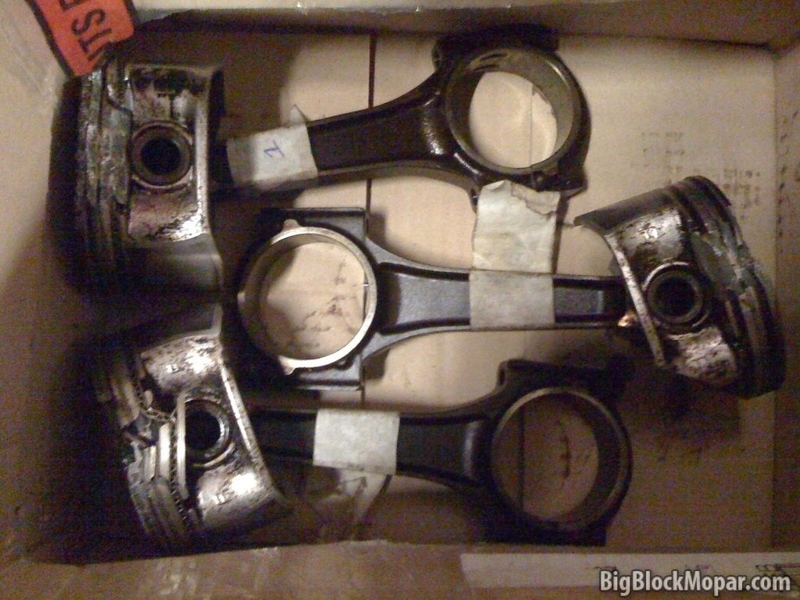 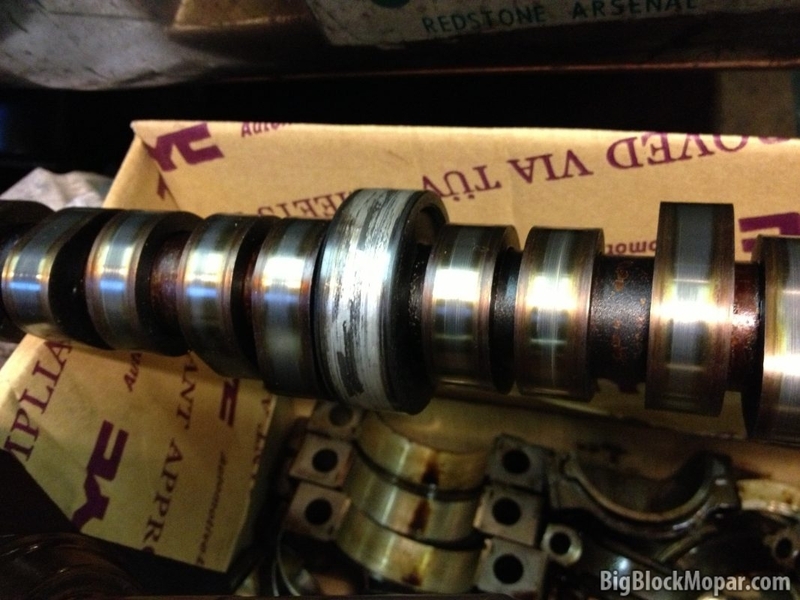 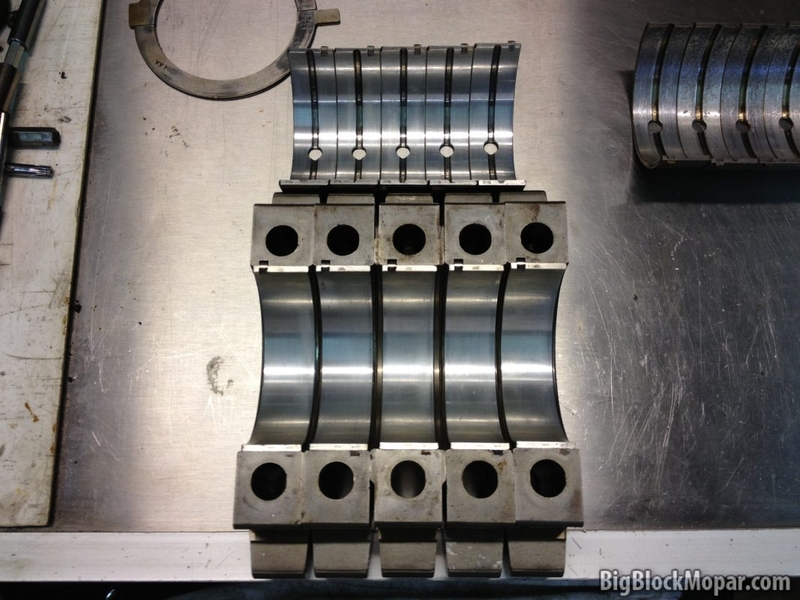 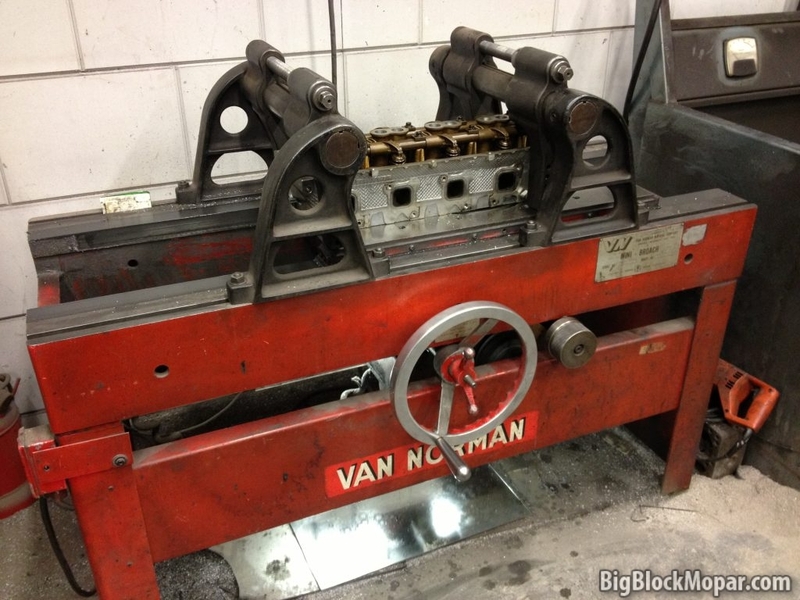 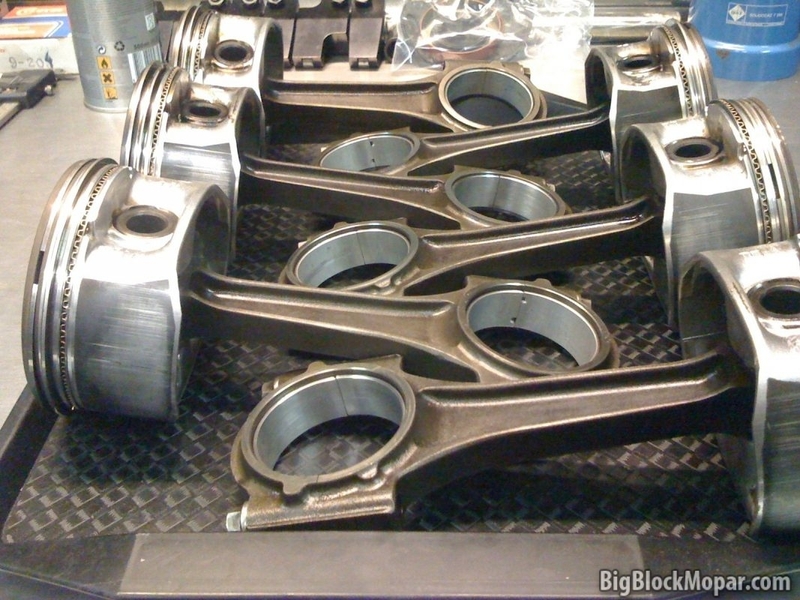 A friend from Belgium was graceful enough to donate 6 piston and rod assemblies for just the cost of shipping, along with their as-new bearings. 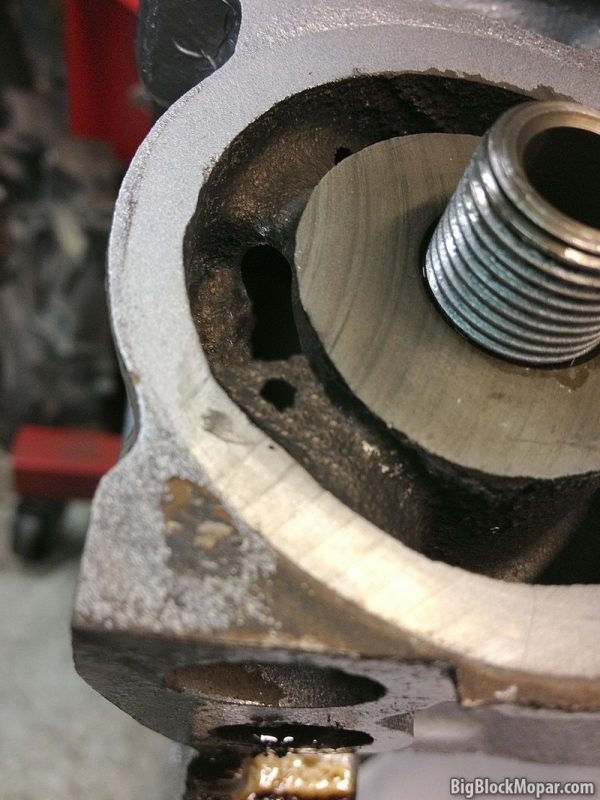 2 good used heads were found and I had them milled some more for a bit of extra compression ratio at a friends machine shop called “Parts-n-Stuff”. 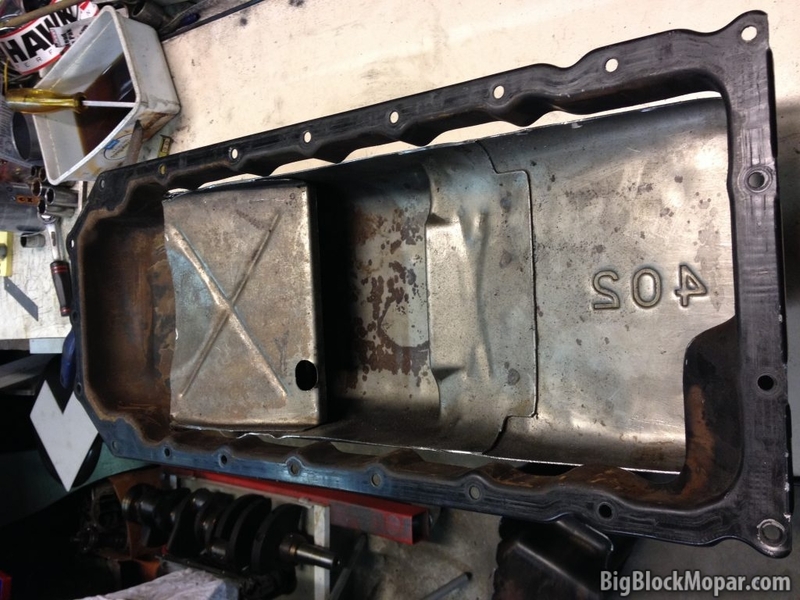 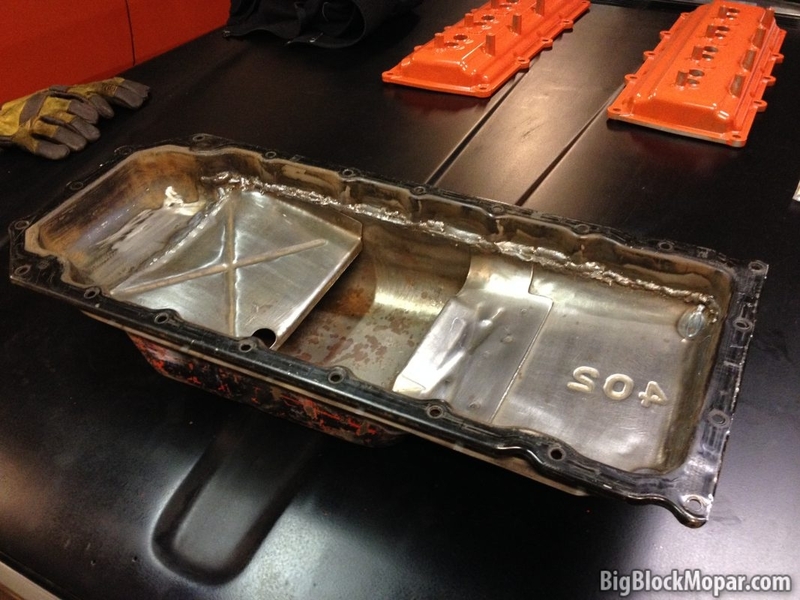 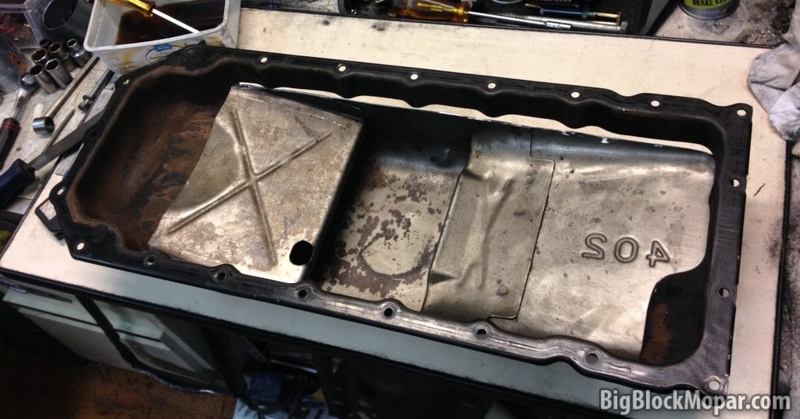 To be able to install the engine in a Mopar engine bay, the stock steel (truck) oilpan had to be modified. 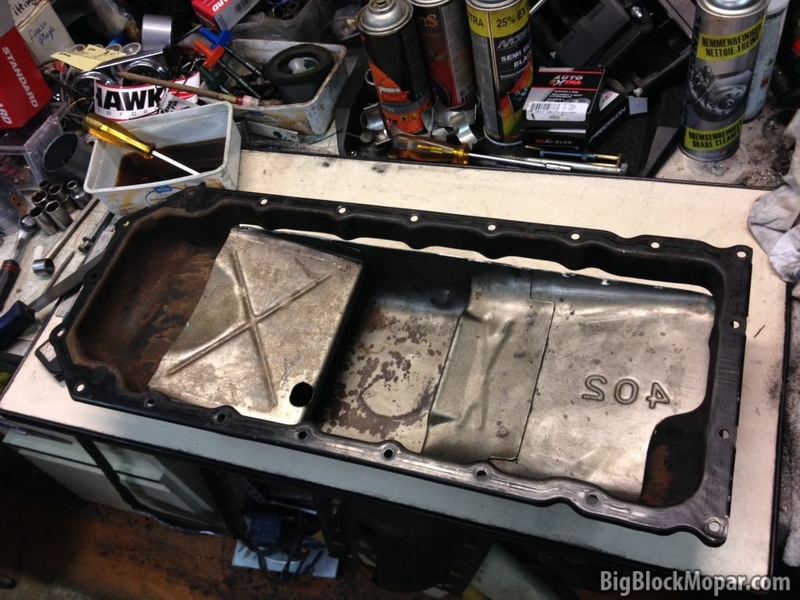 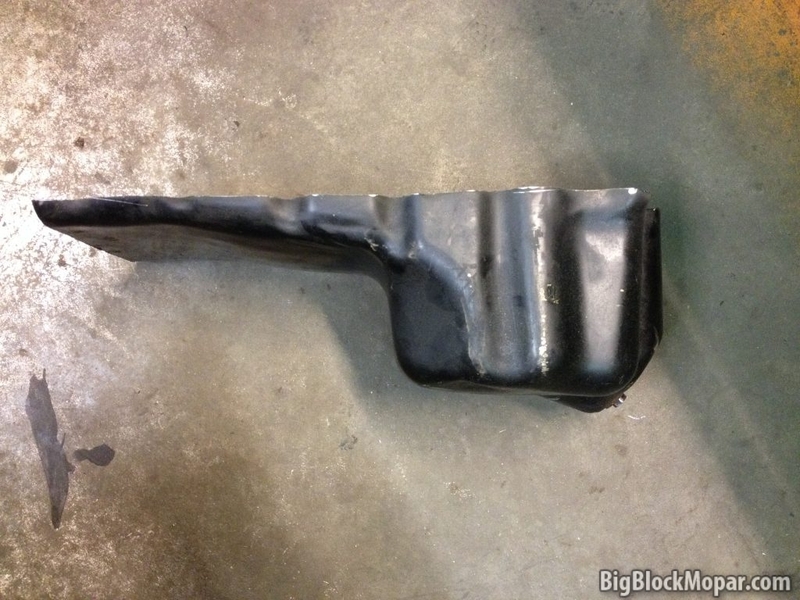 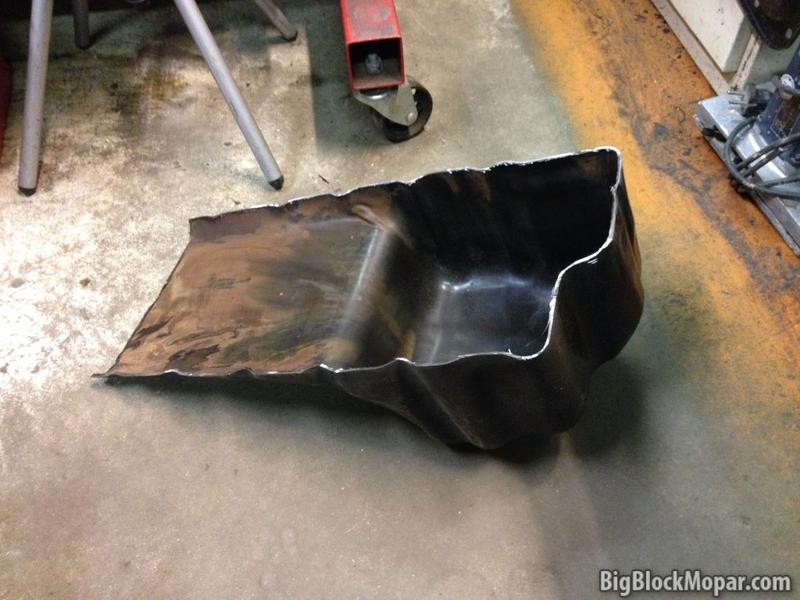 I used an old bigblock oilpan and cut off the pan rail. 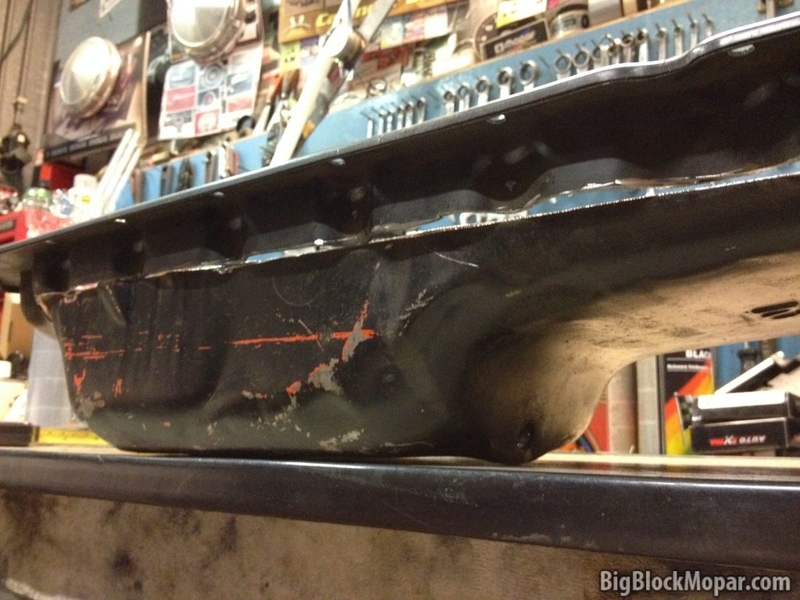 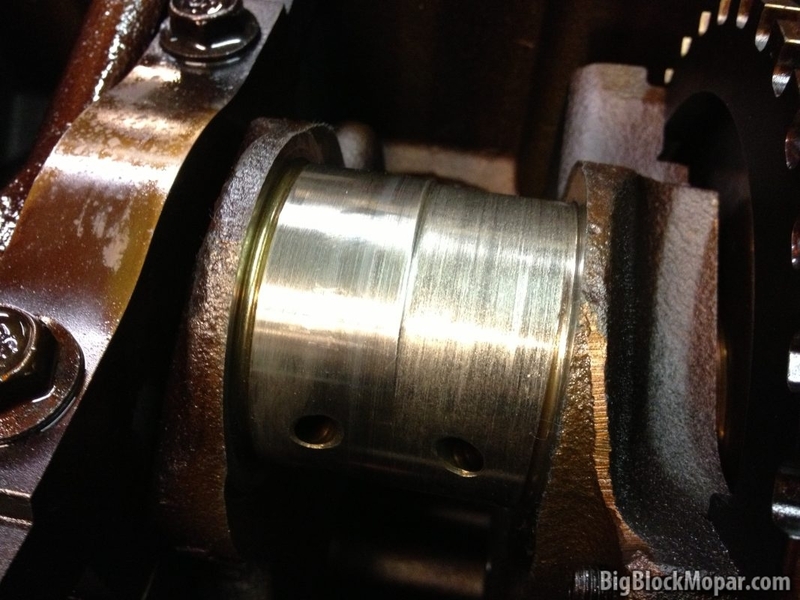 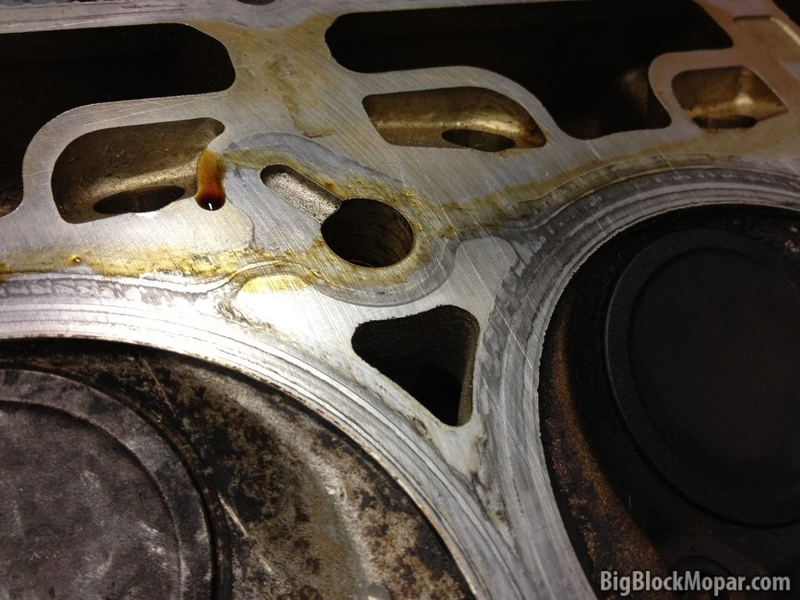 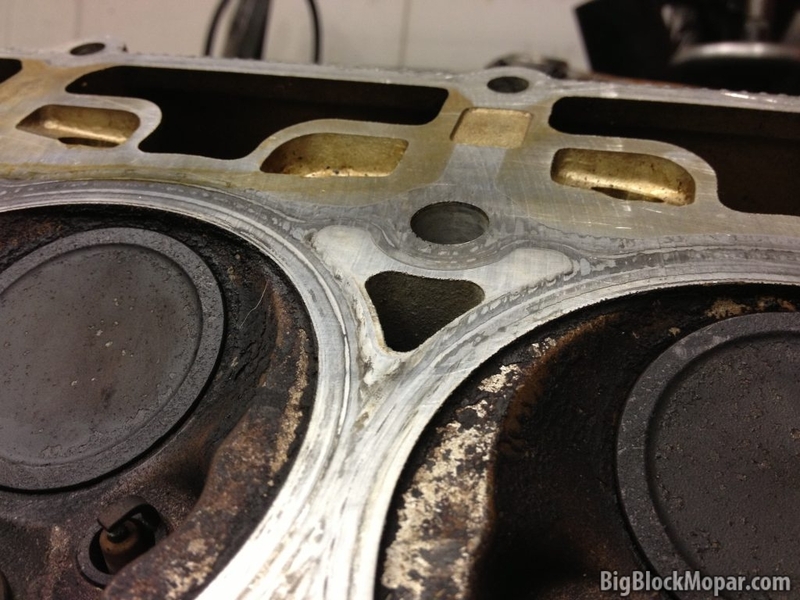 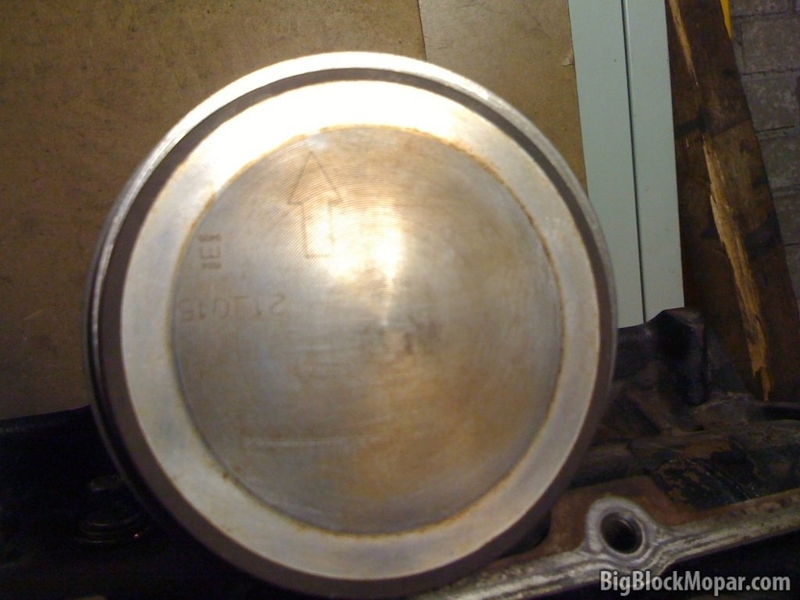 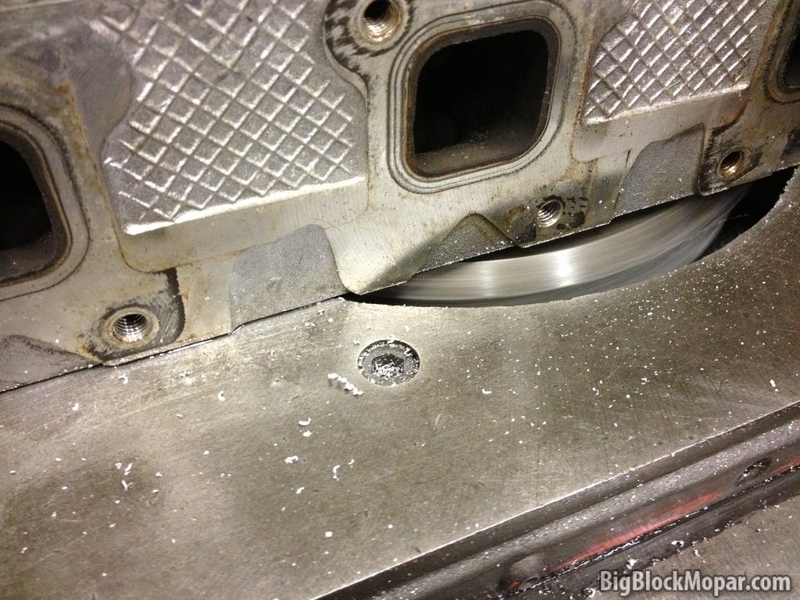 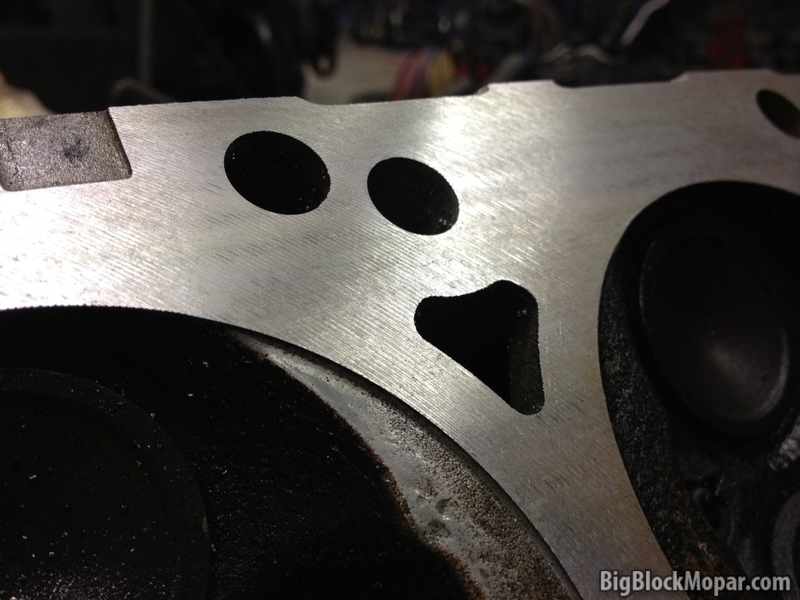 I did the same with the Hemi oilpan and welded both together again. 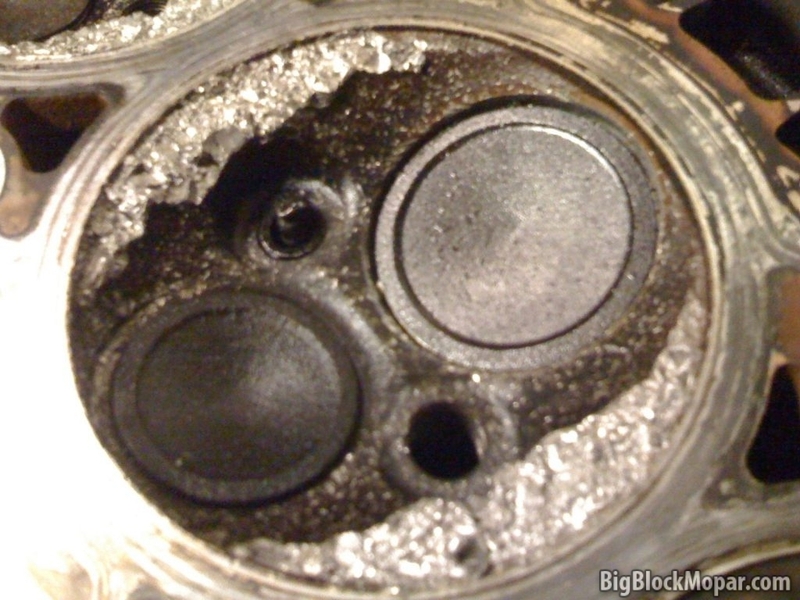 Close inspection of the oil pump mounting face, I found some very thin casting. 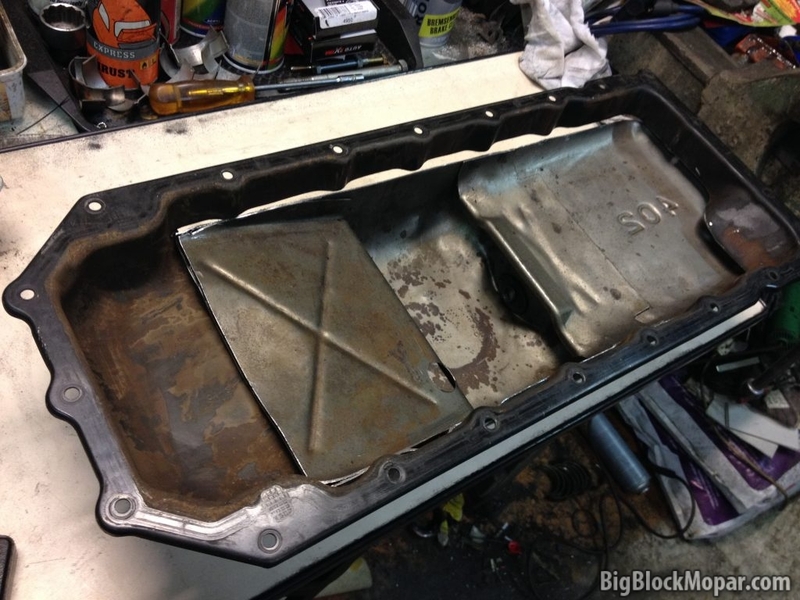 Decided to open it up and smooth the surfaces so no cracks can develop or casting parts can come loose. 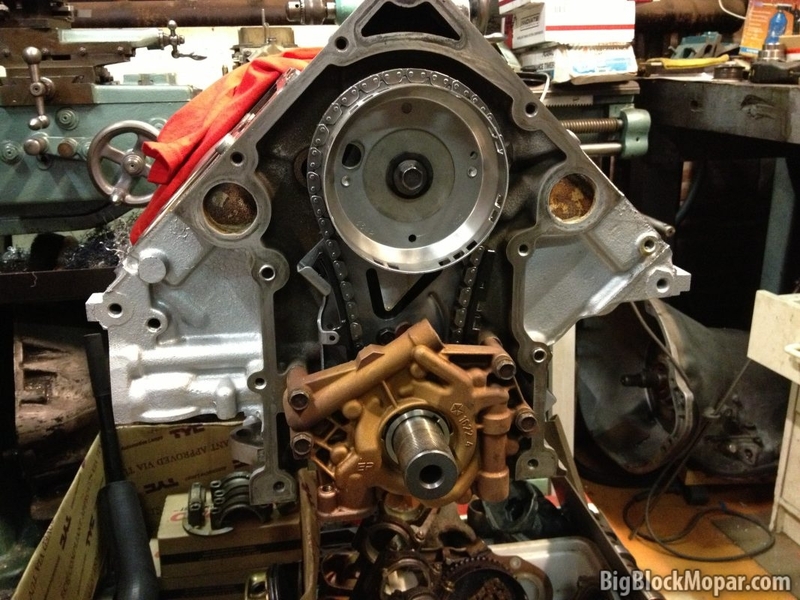 Currently this engine is pretty much assembled completely and ready for action. 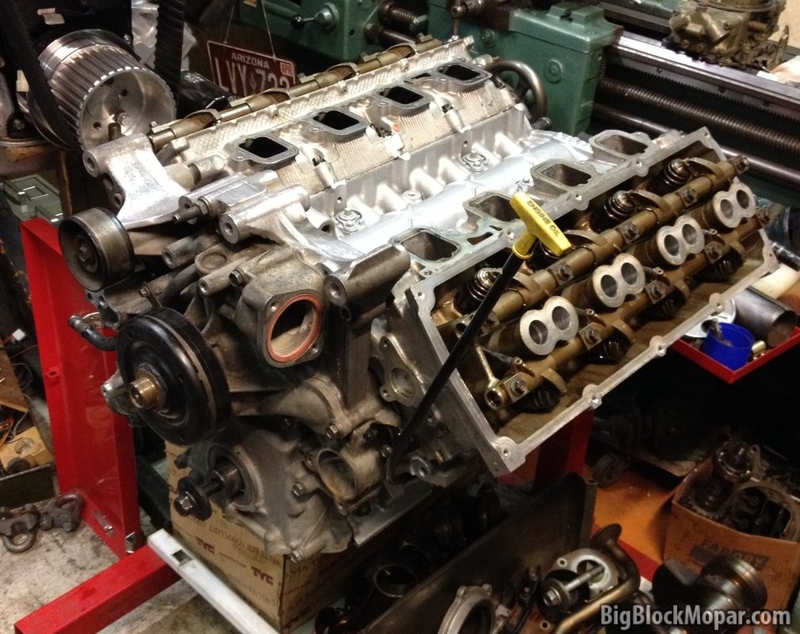 The plan is to get this engine running on the engine teststand first to check for issues, before it’s put to use in a car.